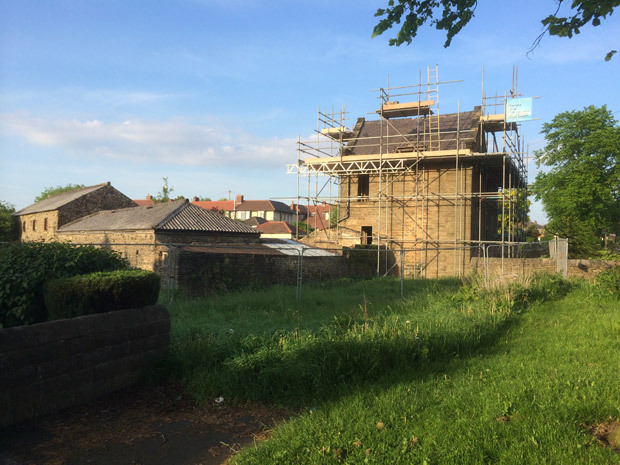 The developers of Moor View Farm have been granted planning permission to demolish the out buildings and to build five detached and two semi-detached houses on the site. The farmhouse refurbishment is well on its way to completion and the out buildings have now been demolished. The builders are presently awaiting the outcome of water and mine survey before work on the properties can begin. As part of the scheme, local organisations can apply for a share of £13,000 to help fund projects that benefit the community. This entry was posted in council, news, planning and tagged jaguar estates, manchester road, moor view farm. Bookmark the permalink. Please can you tell me how community groups go about applying for a share of the grants that are being made available? After lengthy inquiries, the Forum can now reveal that the community development money, scheduled to come from the Moor View Farm development, won’t be available within the foreseeable future. Apparently this type of money tends to take a while to be processed through the system. Local councillors have assured us that once the funds are available they will advise us of the timetable and decision making process for distribution to local community groups.